It is now July and it is time to take stock on where teams stand at the midway point. Meanwhile a 10 year old made a comment during the Yankees – Orioles game that makes me ask some hard questions about PEDs today. Yasel Puig, Madison Bumgarner, David Lough and Justin Masterson all owned baseball on June 30, 2013. Todd Frazier, Robinson Cano, R.A. Dickey and Jose Fernandez all owned baseball on July 1, 2013. 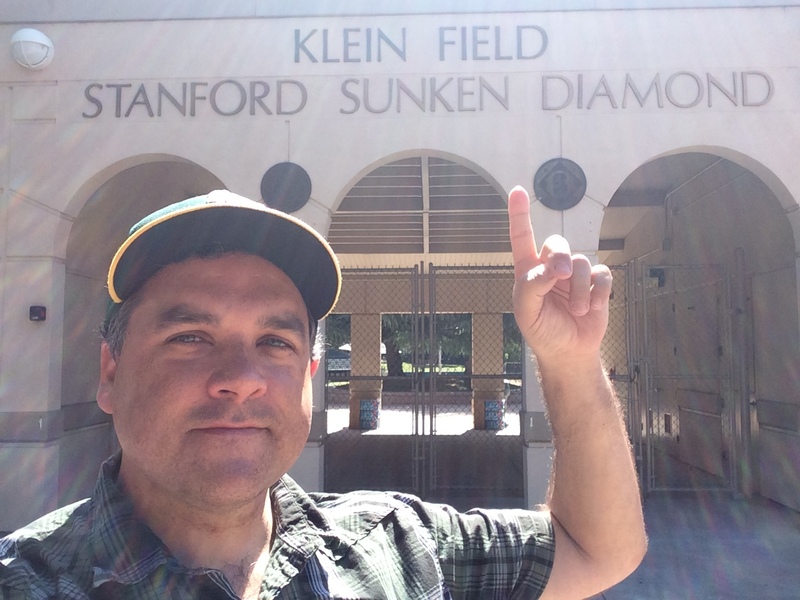 On Today’s episode of The Sully Baseball Daily Podcast, I took a journey… from Cisco and San Jose (where the A’s SHOULD be playing) through Fremont (one of the potential homes of the A’s) right to the parking lot of the O.co Coliseum. Along the way I talk about why it would have been better if the A’s had stayed in Philadelphia and the Phillies had moved and all the potential landing spots of this exciting if troubled franchise. On Today’s episode of The Sully Baseball Daily Podcast, I look at Yasiel Puig and I realize there is no reasonable argument to NOT have him on the All Star team. Plus I compare Manny Ramirez to Don Draper. Trust me, it works. Andrew McCutchen, Matt Garza, Max Scherzer and Chris Davis all owned baseball on July 3, 2013. Today The Sully Baseball Daily Podcast, I honor Larry Doby, feel bad for A-Rod and break down M C Hammer’s 2 Legit to Quit..
Wil Nieves, Adrian Beltre, Cole Hamels and Dan Straily all owned baseball on July 4, 2013. Today on The Sully Baseball Daily Podcast, I take a look at the save statistic and determine it has little to no value. So I am proposing a NEW stat: YOP. What is YOP? Better listen to today’s episode. Ivan Nova, Francisco Liriano, Jose Bautista and Kirk Nieuwenhuis all owned baseball on July 5, 2013. @sullybaseball who’ll be the first manager to let match-ups dictate who pitches in the 9th inning of a save situation? Will it ever happen? Today, I answered his question. Wade Miley, Torii Hunter, Andrelton Simmons and Matt Moore all owned baseball on July 6, 2013. Today’s episode The Sully Baseball Daily Podcast was recorded during the Oakland Athletics/Chicago Cubs game on July 2nd. I went with my dad, my cousin and several friends of the family. It was a great game with great company in a not great stadium. That’s 2 greats out of 3. Not a bad ratio. Adam Jones, David Price, Clayton Kershaw and Josh Satin all owned baseball on July 7, 2013. How did the defending World Champs get to the point where they are 8 games under .500 approaching mid July? A little bit of arrogance was a factor. I discuss that on today’s episode of The Sully Baseball Daily Podcast. Zack Greinke, Bartolo Colon, Victor Martinez and yes Buster Posey all owned baseball on July 8, 2013. Today’s episode of The Sully Baseball Daily Podcast begins in Italian. Because the wonderful Italian MLB Podcast Nel Nome del Gioco, gave me a nice notice and I am saying Grazie to the hosts Marco Barbanera and Pietro Striano. As for San Francisco Giants fans… you are forbidden to watch today’s game. The team has been too cruel to you. Alex Rios, James Shields, Wily Peralta and Marlon Byrd all owned baseball on July 8, 2013. To hear Nel Nome del Gioco, click HERE. 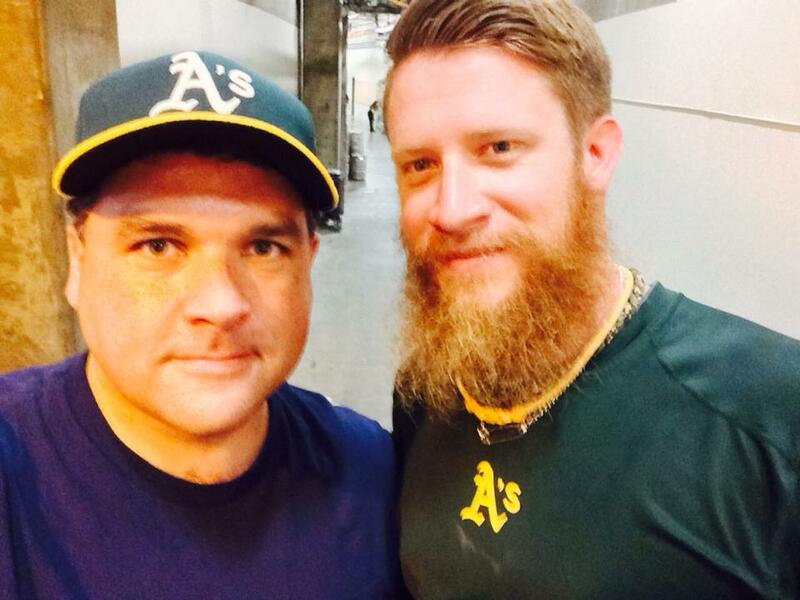 It is a Los Angeles focused episode of The Sully Baseball Daily Podcast. The Dodgers have stormed back to mediocrity, which might be enough. Meanwhile a World Series won 11 years ago might be saving Mike Scioscia’s job. Hanley Ramirez, Wei-Yin Chen, Francisco Liriano and Robinson Cano all owned baseball on July 10, 2013. The Sully Baseball Daily Podcast focuses on The Bronx today. The Yankees plan of waiting for the veterans to save them might be imploding. Why can’t Yankee fans just cheer for this team of overachievers instead of pining for the past? Edwin Jackson, Jacoby Ellsbury, Matt Moore and Freddie Freeman all owned baseball on July 11, 2013. Why are so many Red Sox fans loving this team? Because for the first time in years, being a Red Sox fan is FUN again! A.J. Griffin, Didi Gregorius, Lonnie Chisenhall and I suppose Tim Lincecum all owned baseball on July 13, 2013. It is the All Star Break. But there is NO BREAK for The Sully Baseball Daily Podcast! I take a look at my pre-season predictions and wonder why Freddie Freeman isn’t playing in the All Star game. Justin Verlander, Wily Peralta, Josh Donaldson and Michael Cuddyer all owned baseball on July 14, 2013. The Home Run Derby was thrilling and Sully realized that he was being too cool for school. Who could POSSIBLY have a problem with how Jim Leyland handled Mariano Rivera in the All Star Game or Rivera winning the MVP? Evidently some people DID. Paul Goldschmidt, Matt Harvey, Prince Fielder and MVP Mariano Rivera all owned baseball on July 16, 2013. The Sully Baseball Daily Podcast today salutes Eric Hinske, wonders where Ryan Theriot is and gets ready for tonight’s Red Sox/Yankee game. Today on The Sully Baseball Daily Podcast, I say “I told you so” to the Yankees. Some of their problems are self inflicted and could have prevented, not that I am complaining! Brandon Barnes, Chad Gaudin, Domnic Brown and Ervin Santana all owned baseball on July 19, 2013. The Royal Baby is on its way and I will NOT make fun of people who are obsessed with it. Meanwhile the Red Sox are giving me a heart attack and the Nationals should consider trading Rafael Soriano. Those topics and more on today’s episode of The Sully Baseball Daily Podcast. Bartolo Colon, Mike Napoli, Matt Kemp and Matt Harvey all owned baseball on July 21, 2013. Today The Sully Baseball Daily Podcast, I can not avoid PEDs… or at least talking about them. Ryan Braun was lying the whole time, to the shock of exactly nobody. And I can’t honestly look you in the eye and say I wouldn’t juice to help my show. Andrew McCutchen, J.J. Hardy, Matt Moore and Dillion Gee all owned baseball on July 22, 2013. Is Francisco Rodriguez a good pick up for the Orioles? And should Robinson Cano follow Dustin Pedroia in signing a long term deal? 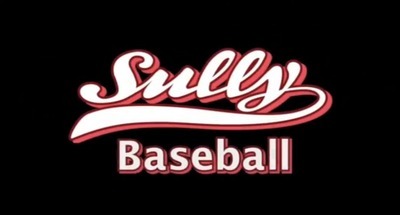 Those questions and more on today’s episode of The Sully Baseball Daily Podcast. Eduardo Nunez, Gerrit Cole, Adrian Gonzalez and Jarred Cosart all owned baseball on July 23, 2013. The names of the Joe Mauer Twins, why the Giants lousy month was a blessing in disguise and a salute to Tim Hudson. Eric Hosmer, Nate Schierholtz, David Price and Tim Hudson all owned baseball on July 24, 2013. Your pal Sully is leaving his job at Cisco.I t made a big effect on me in a short period of time. That got me thinking of what players made a great impact on a team in just a season. And that is the topic of today’s Sully Baseball Daily Podcast. I’M all about the positives and negatives of Hall of Fame weekend. Adam Jones, Daniel Murphy, Felix Hernandez and Clayton Kershaw all owned baseball on July 26, 2013..
@sullybaseball Sunday Request: Wil Myers & the Royals. Shouldn’t Moore been fired for that trade by now? What is taking so long? Should Moore be fired and my thoughts on the trade are two separate issues. Andrelton Simmons, Chris Archer, Stephen Drew and Hyun-jin Ryu all owned baseball on July 27, 2013. We look at the last place defending World Champion San Francisco Giants. So many things that broke well in 2010 and 2012 are breaking the other way this year, such is the pendulum that is baseball. Jose Fernandez, David Ortiz, Ubaldo Jimenez and Jason Heyward all owned baseball on July 28, 2013. Rest in peace two former Red Sox: Beloved slugger George “Boomer” Scott, and Frank Castillo, who pitched for the 2004 Red Sox. Breaking down the Jake Peavy trade and looking at the Biogenesis lab’s role in the trade deadling. Posted on March 4, 2016, in 'SullyMetrics', MLB Podcast Network and tagged A.J. Griffin, adam rosales, adam wainwright, adam warren, albert pujols, alex gordon, alfonso soriano, Andrew Cashner, andy pettitte, anthony rendon, bartolo colon, ben revere, billy butler, Biogenesis Scandal, Bobby Cox, boston red sox, brandon belt, brandon phillips, buster posey, c.j. wilson, carlos gonzalez, cc sabathia, chris archer, chris davis, chris dickerson, cincinnati reds, clayton kershaw, cliff lee, coco crisp, Corey Kluber, Dan Reed, david phelps, Dear hank, delmon young, Derek Holland, desmond jennings, detroit tigers, Dexter Fowler, dickey, dillon gee, edwin encarnacion, eric stults, erik bedard, evan longoria, Felix Doubront, felix hernandez, francisco liriano, gio gonzalez, grover cleveland, houston astros, howie kendrick, itunes, jarrod saltalamacchia, Jeff Polman, Jeremy guthrie, jeremy hellickson, joe blanton, john danks, john lackey, johnny cueto, jonathan lucroy, jordan zimmermann, Jordy Mercer, jose valverde, josh collmenter, josh donaldson, josh johnson, josh reddick, julio teheran, justin masterson, justin ruggiano, ken harrelson, kenny mack, kevin slowey, kirk nieuwenhuis, kyle blanks, kyle seager, marlon byrd, matt cain, matt dominguez, matt harvey, max scherzer, michael brantley, miguel cabrera, Mike silva, Mike Trout, nelson cruz, new york mets, new york yankees, Patrick Corbin, Paul Francis Sullivan, pedro alvarez, prince fielder, R.A, r.a. dickey, ricky nolasco, robinson cano, ryan doumit, ryan howard, san diego padres, shane victorino, soundcloud, stephen strasburg, sully baseball daily, tim lincecum, tyler colvin, ubaldo jimenez, victor martinez, yasiel puig, yovani gallardo, zack greinke. Bookmark the permalink. Leave a comment.